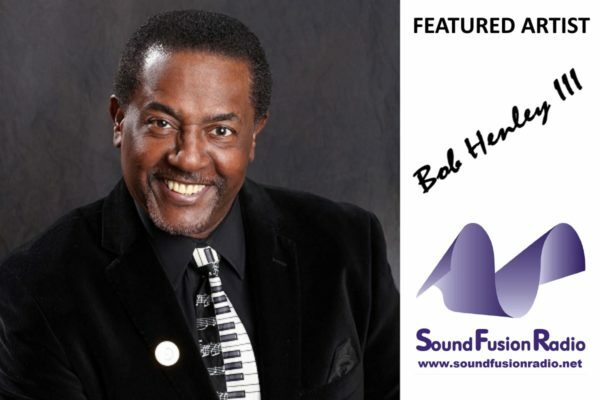 Boasting a varied and concentrated musical background, Bob Henley III’s musical foundation began first in the world of gospel and church music, where he was first able to explore his vocal talents. Throughout his formative high school and early college years, Bob had the chance to perform with an eclectic number of musical acts, choir groups and jazz bands. He is a true tenor with a powerful vocal range. He is also a gifted bandleader and choir director, as well as a masterful keyboardist and percussion player. Bob received his technical training from Kennedy King College and Roosevelt University, both located in his hometown of Chicago, where he also had the opportunity to study privately at American Musical College and Chicago Musical School. He also attended the prestigious Grambling College. He was the bandleader and vocalist of his own touring group, The Swamp Boogie Band, for many years. The band earned a rewarding gig touring Japan by earning the distinction and the prize in Chicago’s Battle of the Bands. Bob also got the chance to tour with The Outer Drive Band, which was recognized as the winner in Chicago’s Pepsi Music Challenge. In 1986, he released his own single through Epic Records entitled Let’s Hold On To What We’ve Got. Bob toured for over a decade with the legendary musical artist, Smokey Robinson, and had the pleasure of appearing on many of Robinson’s award-winning albums. For the past few years, he has been on tour with Richard Street’s Temptations, Damon Harris’ Temptation Review, and the famed band, LTD, as well as having appeared on various other artists’ albums, including Nancy Wilson, Carl Anderson, Curtis Blow, Rodney Franklin and Roberta Flack. Not one to be kept to only one type of music or live performance style, he has also worked in the world of theater. His work includes West Side Story, Black People Who Knew and The Message Is In The Music. Bob has also made appearances in popular television shows and feature films. Some of his credits include Coming To America, The Royal Family, The Tonight Show, VH1 Honors, Live! With Regis and Kathie Lee, The Today Show, The Martin Short Show, Passions and shows on the BET Network. In fact, Passions also used a song co-written by Bob with his sister Patti and his brother Ron. For over 20 years, Bob was the Minister of Music and Choir Director for Understanding Principles for Better Living Church, where the Minister and Founder was the Rev. Dr. Della Reese Lett. As Choir Director, he was instrumental in the choir’s winning 2nd place at the McDonald’s Gospelfest in 1995 and 2004. Bob and the Up Church Choir also appeared on the soundtrack for the TV movie, The Ditch Digger’s Daughter. Bob runs Logic Pro audio in his home studio, where he writes, arranges, produces, records and engineers. He is also a fine vocal coach.